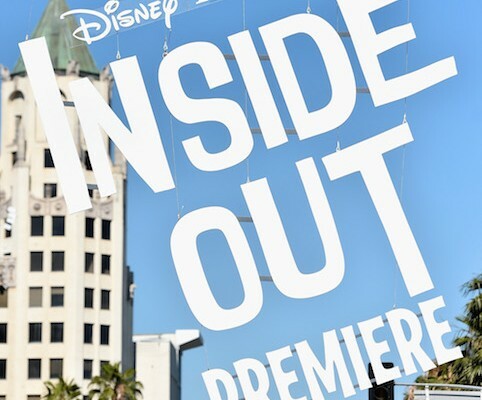 In my post yesterday, I neglected to mention one of the cooler celebrity sightings on the red carpet of the Toy Story 3 premiere at the El Capitan Theatre in Hollywood, California. 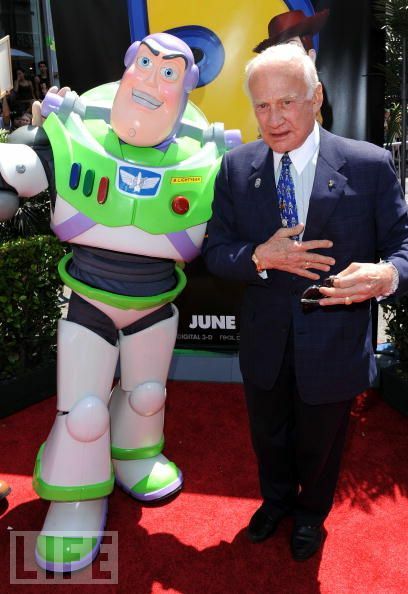 Buzz Aldrin, the second man to set foot on the Moon (and also a former contestant on “Dancing With The Stars”), attended the premiere and therefore needed to be photographed alongside Buzz Lightyear. In his childood, Aldrin (born Edwin Eugene Aldrin, Jr.) had a sister who pronounced “brother” as “buzzer”. The nickname was shortened to “Buzz” and stuck around. Early in the production cycle of the original Toy Story, Buzz Lightyear actually went by the name of Lunar Larry. Believing his name was not grand enough, the Toy Story team decided to go with the first name of an actual astronaut, Buzz Aldrin! I guess we have Aldrin’s sister to thank for the Toy Story character’s name. The Lightyear portion was tacked on to further the character’s association with outer space. Now can you imagine the spaceman going by a name other than Buzz Lightyear? Buzz Lightyear, his pal Woody, and all of Andy’s other toys invade North American theaters on June 18th, less than four days from now.